Take clients through your personalized assessments to automatically create personalized workouts based on the data important to their success. Sell single workout plans, offer automated workout memberships, run workout challenges, and deliver individual training through your custom-branded apps! Take clients through your personalized assessment to deliver custom workouts for their individual needs – providing massive growth potential and saving you time. 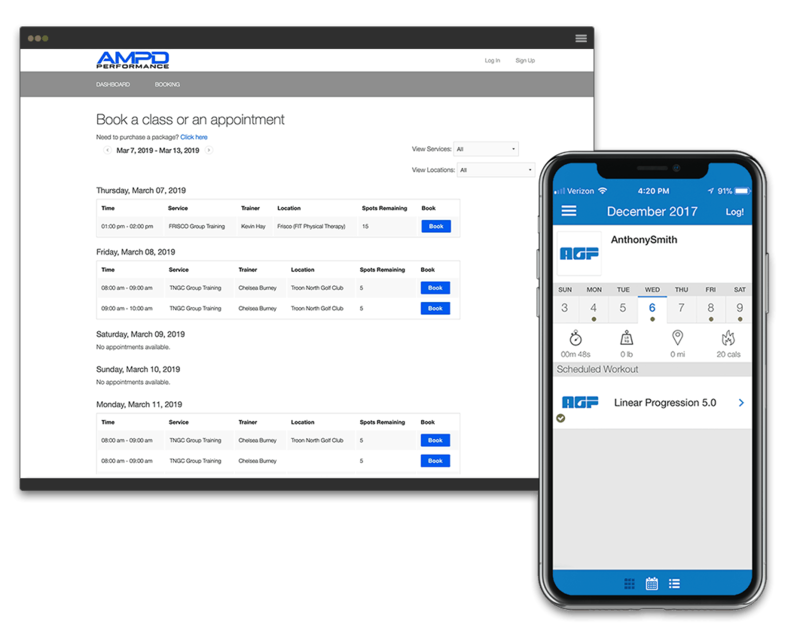 Our software makes your life easier providing your clients with a unified scheduling and workout experience from apps to web with the brand they trust. WHAT ARE FITNESS PROS SAYING ABOUT EXERCISE.COM? The Exercise.com team is amazing, and their all-in-one software is more than we ever expected! All of this is made possible by a high-quality team. 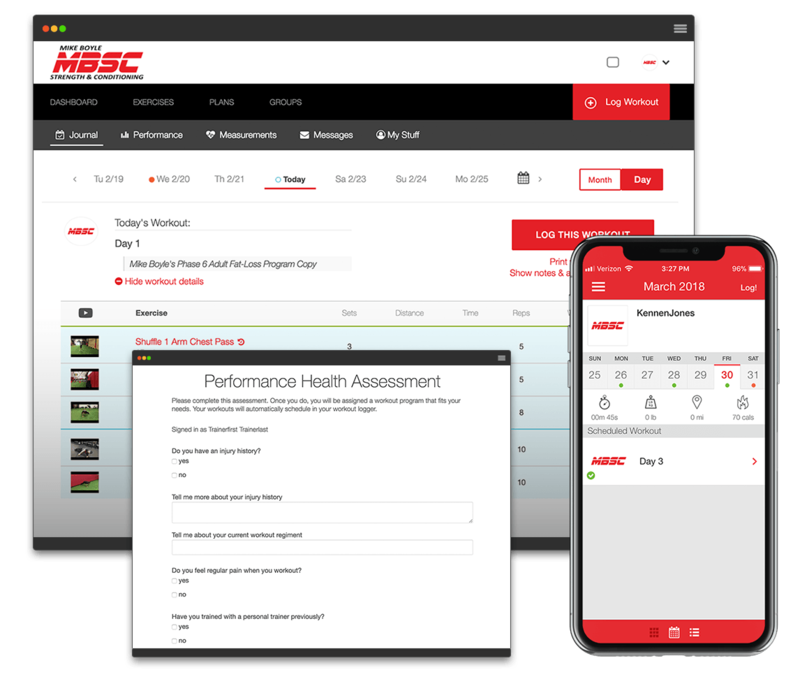 Our custom-branded apps have helped us continue to make progress when training athletes, tracking their performance, and managing our business. I sold a workout program and matched my yearly salary of in-person training within two weeks of selling to my community. 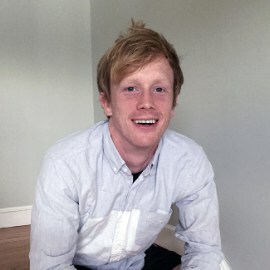 Exercise.com makes my life easier by providing an all-in-one solution and the opportunity to help those who otherwise would never have access to my programming! 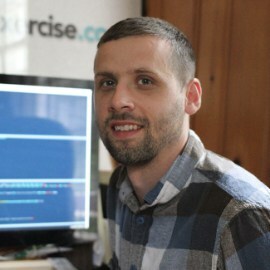 The team at Exercise.com solves a major problem — how to grow your business without wasting time and losing money. We work with the real, confident decision makers — the best of the best — like James Harrison (Steelers great), Don Saladino, D1 Training, Fairchild Sports Performance, and Freestyle Connection — and offer our all-in-one fitness business software to simplify managing your business. 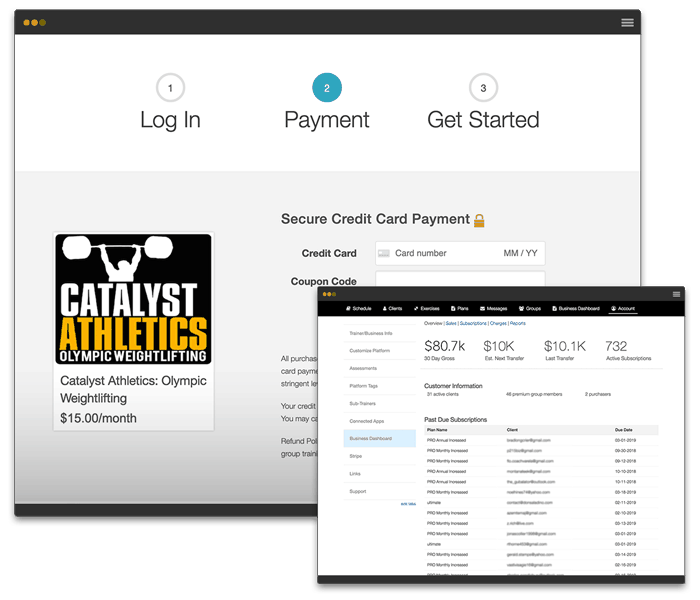 We turbocharge your business with our all-in-one fitness business software that’s custom branded for your business. 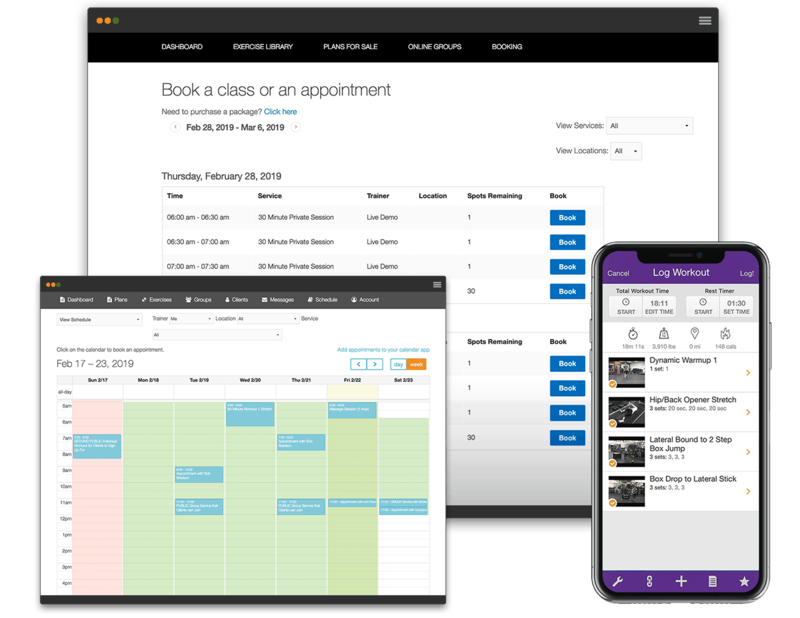 • Efficiently schedule, view, and manage all appointments and classes — including by trainer, location, and service — with easy options for scheduling recurring events and availability. • Save time creating workouts with our simple workout plan creator and exercise manager and built-in integrations, tools, and more. 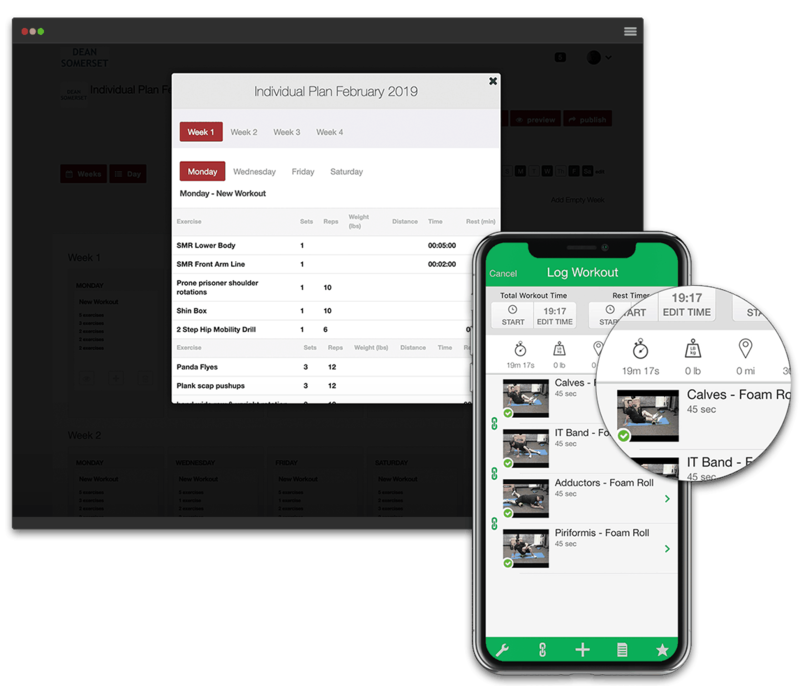 • Sell your training three ways – group subscriptions, individualized training, and single workout plans – to increase revenue inside and outside your training walls. • Take clients through your custom assessments to automatically deliver personalized workouts based on the data important to their success. Why not pay for custom development? So many things could go wrong when building custom-branded apps. It’s also expensive, takes years to develop, and requires trust with your developers. We have a proven track record delivering apps for top trainers around the world and remove the risks present when doing it on your own. What if I'm not technical? You don’t need to be. Our dev team will build your custom-branded apps and take care of all the technical stuff so you can focus on what you do best. What if I don't have a following? 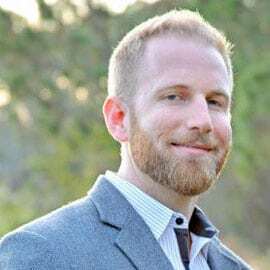 Engaging the followers you have is paramount because you can instantly convert engaged followers into paying clients with your all-in-one fitness business software. Is it hard to set up? No, it’s very easy. All you need to do is follow our success team’s proven process. We will deliver your custom-branded, all-in-one fitness business software, and you can do what you do best! What if I wait to implement this solution? 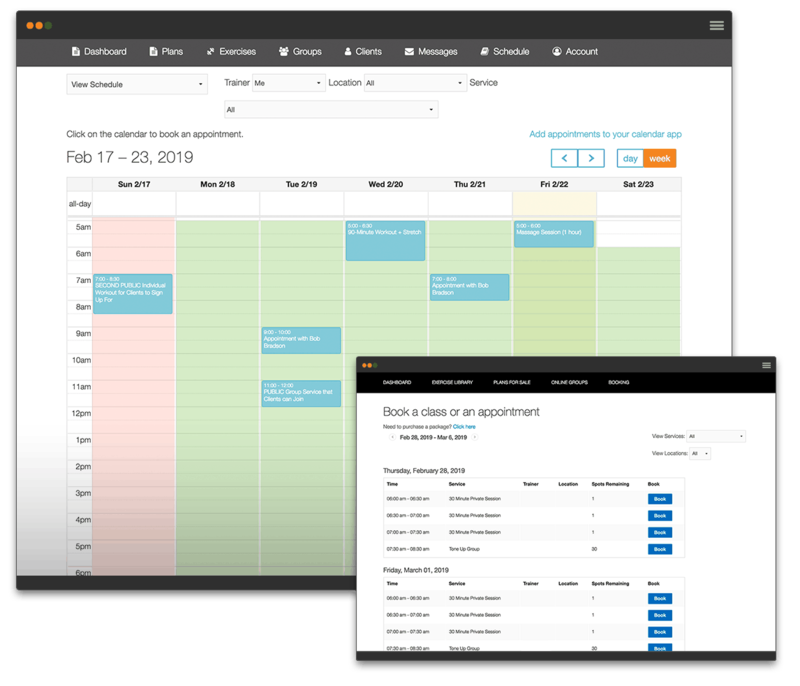 If you wait, you will leave a lot of opportunity on the table to save time as you scale and manage your business with all-in-one software to engage and retain your clients. Whether you’re looking to bill customers on a recurring basis, single session, or package basis, do it all with a fully integrated, secure platform that can support in-person and online payments. This is a high-quality problem to solve. You shouldn’t wait to solve it. You get all-in-one fitness business software that does everything you need. No more having one software solution for doing personal training, another for booking and scheduling, something else for client assessments, and yet another pricey subscription for marketing and client communication. And then there are custom-branded iOS & Android apps. If you’re tired of paying too much for too many moving parts, stop the hacks and demo the Exercise.com all-in-one fitness business software today. 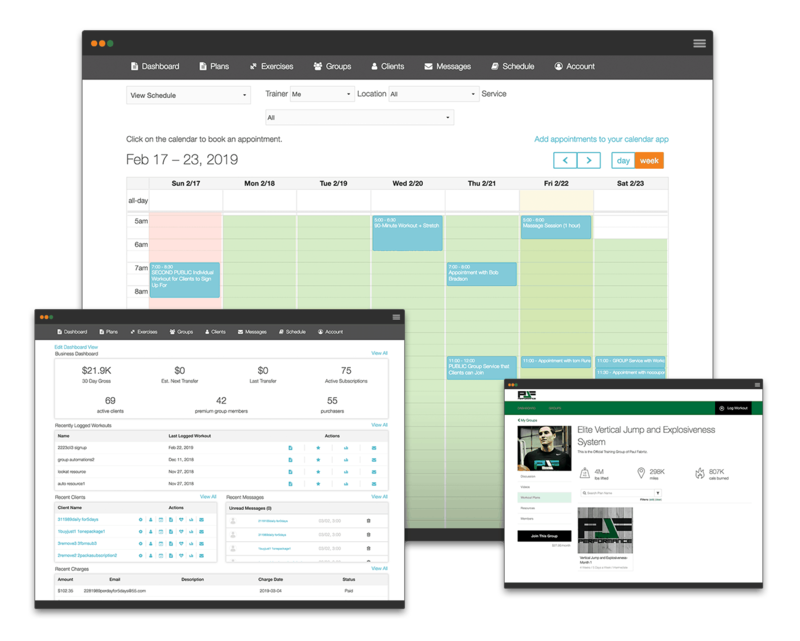 This all-in-one fitness business software will save you time running your business, handle everything in one place, provide endless opportunities to engage and retain your clients, and allow you to sell workout plans. Will this really work for me? Yes. We have a proven track record with fitness professionals like Ashley Borden, Just-Train, PJF Performance, Madeline Moves, and Fit Thrive. Our all-in-one fitness business software will allow you to grow your business as much as you want. The next step is simple. Click “Get a Price” anywhere on this page and schedule a call with one of our team members. Will this integrate with my other software? Our software integrates with a variety of other software including Zapier, Stripe, YouTube, Vimeo, MailChimp, MyFitnessPal, ConvertKit, and more. What if I don't have the budget? This is an all-in-one fitness business software that allows you to grow your business as much as you’d like. You should strike while the iron is hot by investing in a workout platform that will help you scale your business, earn more revenue, retain and engage your clients, and save you time running your business. Let the team at Exercise.com show you how to grow and manage your fitness business better! Yes, I want the free case study, please.